Les Incontournables | One quality, the finest. Well, my time in Nancy is drawing to a close. I’ve thoroughly enjoyed this largely overlooked little gem. Seriously, among my French and Francophile friends and acquaintances, I know only one who has been here, and he was born here and then left for the sunny south! As I walked its streets, I almost never heard English spoken. Due to its proximity to Germany, German tourists were more in evidence, but overall, this is a city that is not overrun by tour buses. Nancy is lovely and well worth spending three or four days to see it properly. Here is my list of les incontournables (layz ahn-kohn-toor-nab-luh) or the things that I consider not to be missed. Pack comfortable walking shoes and go to Nancy! 1. La Maison d’hôte de Myon In no small measure, my enjoyment of the city was enriched by the wonderful experience of my hotel. 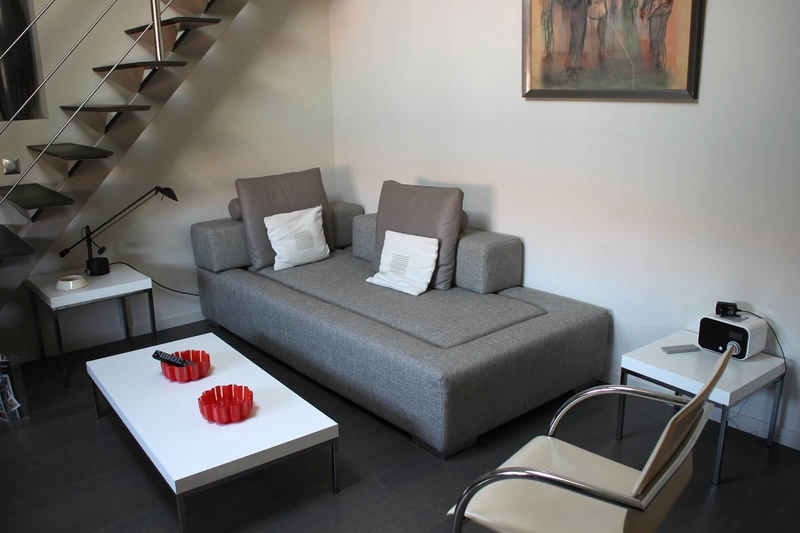 When I arrived, the proprietress, Martine Quénot, offered to upgrade me for free to one of the three loft apartments, given that I would be spending six nights in Nancy. She even took the brunt of the weight as I lugged my luggage for six weeks in France (no traveling light this time!) to my light-filled apartment tucked under the 18th century eaves. No two rooms or lofts in the hotel are alike and each is named after the predominating color scheme. I had La Perle, all in cool grey tones. I’m not normally one for modern design, but the combination of top-of-the-line modern amenities and fixtures joined with the ancient beams of the house totally won my heart. Throughout the house are objects she has collected around the world on her travels. The effect is that you are spending time with a favorite aunt who spoils you, but never hovers. Breakfast each day was a copious delight, served with a smile and genuine interest in what I’d been seeing around town. Madame Quénot and her excellent staff are also busy with receptions for conferences, weddings, and other special events, as she has ample space for meeting rooms in the outbuildings and the main floor of the house. What’s the catch? There is none. 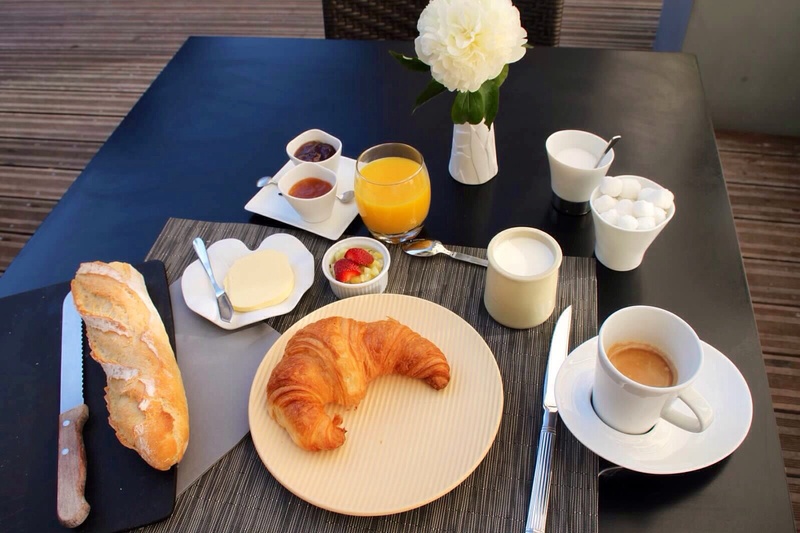 La Maison de Myon is just a couple of minutes from everything, right in the heart of Nancy and it is very reasonably priced. 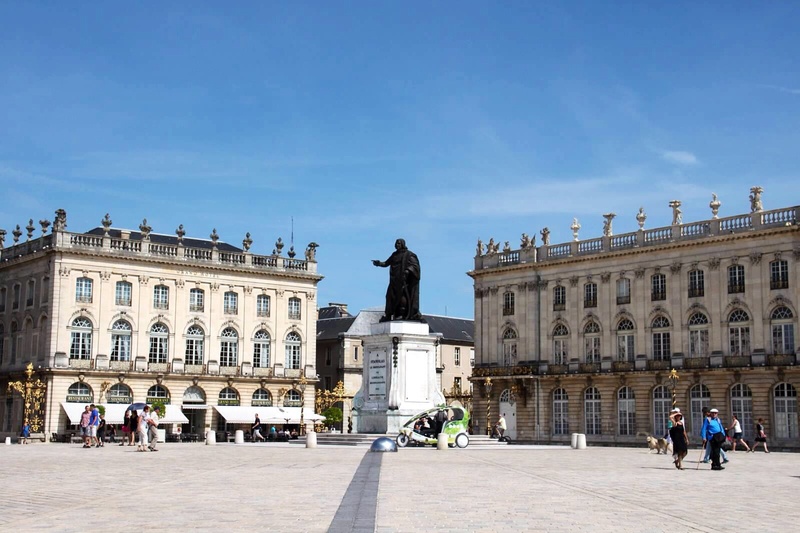 If I convince you of nothing else in this post, I hope I persuade you to STAY HERE when you come to Nancy. 2. Place Stanislas This was my natural first stop to get my bearings when I arrived in a jet-lagged fog. Place Stanislas is a huge square marked on each side with monumental buildings. The white stone pavers are dazzling in the summer sun. I kept reaching for my sunglasses, only to find that I was wearing them! Whether you want to see le musée de Beaux Arts and its impressive collection of Daum crystal, attend an opera, or just hang out at one of the umbrella shaded tables for a meal or a cold drink, this is the place to be. The gates! The fountains! The immensity! You get the idea. 3. Le son et lumière (the Sound and Light show) Every summer night, a sound and light show is projected on three sides of the square, with the main action taking place on the façade of l’Hôtel de Ville, or City Hall. The theme changes each year; this year it marked the centenary of World War I as well as the history of the square itself. It was well worth staying up past my bedtime! 4. Les itinéraires pédestre (walking tours) I picked up the brochure at the Tourism Office on Place Stanislas that laid out four different walking tours of the Art Nouveau delights of the city. This was the perfect way to discover Nancy’s best. 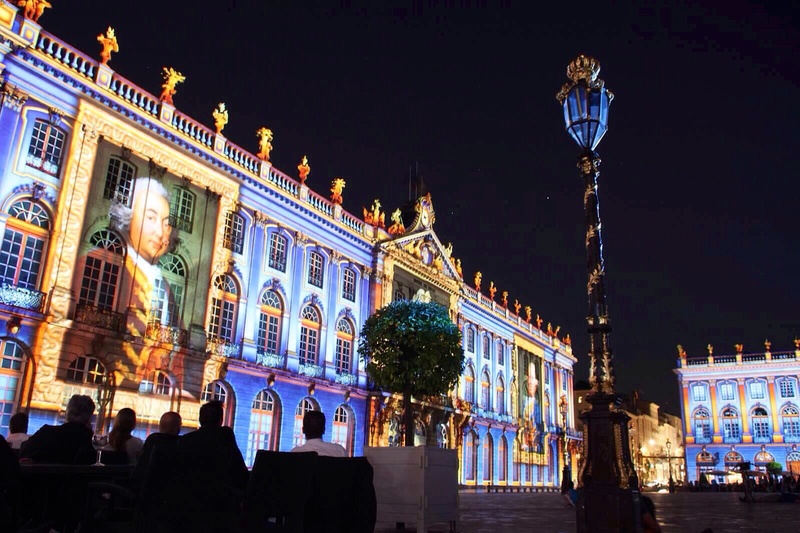 If you won’t be in town for more than a day, take an hour or two to do the first tour that concentrates on the commercial core found between the train station and Place Stanislas. If you’ll be here longer, add the other three. Nancy has an excellent and inexpensive tram/bus system that can get you close to where each tour starts if you want to save your energy. I love to walk and the weather was fabulous, so I did it all by foot. Each one of the four tours revealed architectural treasures. 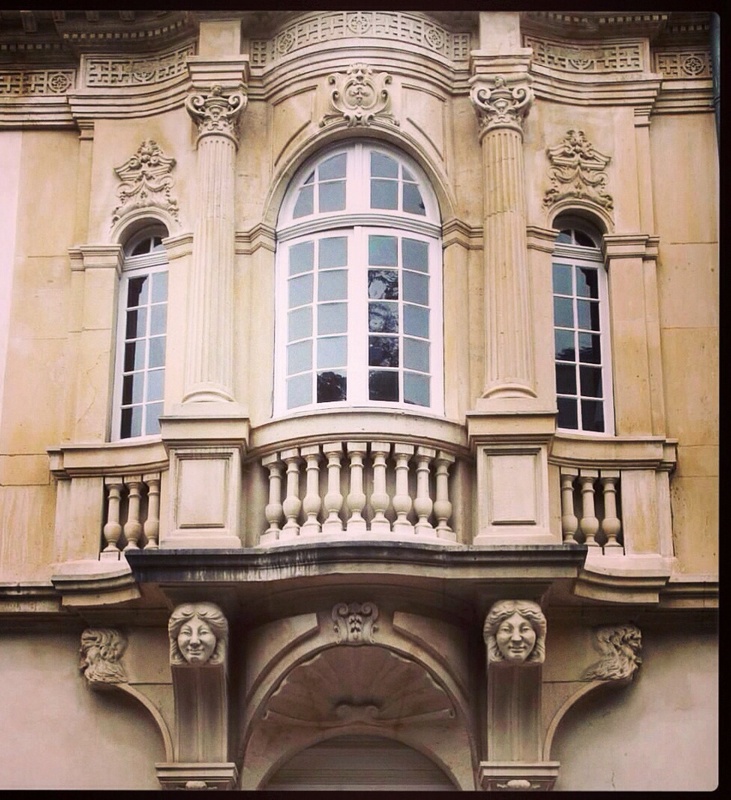 And if I move to Nancy, I know which house I’d want to buy: Maison Biet at 41 rue Pasteur. 5. Le musée de l’École de Nancy Nancy has several museums, but this was my favorite. 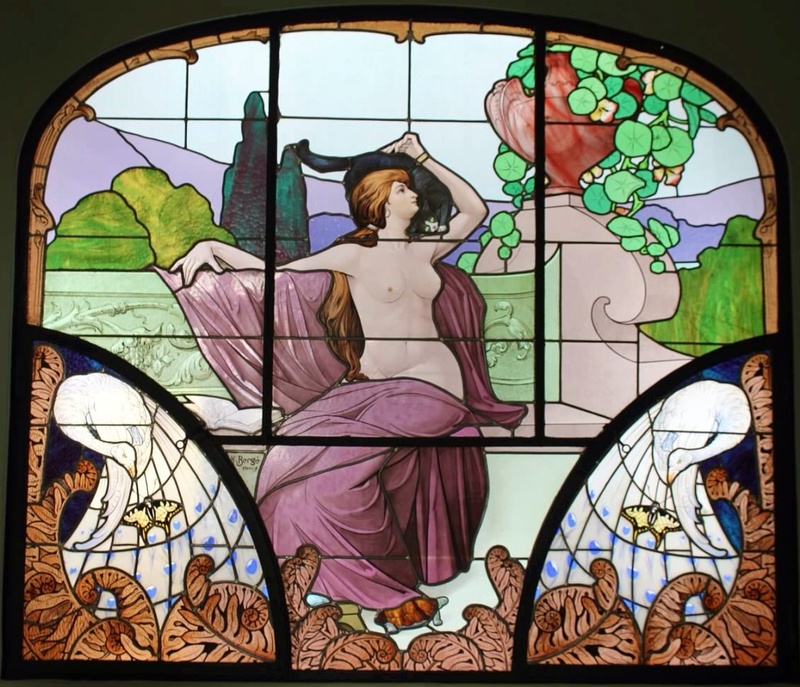 It was the home of Eugène Corbin, a collector and patron of Art Nouveau. While the rooms and furnishings were lovely, it was the stained glass that took my breath away! If you think you’ll visit other museums, for only 10 Euros, you can buy a museum pass that lets you explore a total of six museums and cultural sights over a ten day period. Do watch out for museum opening times; several are closed Monday, Tuesday, or both. 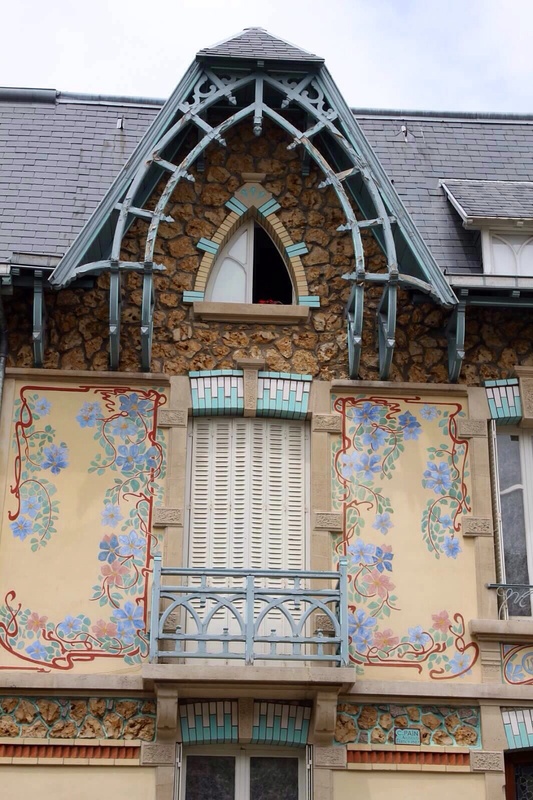 To my disappointment, I couldn’t get into Villa Majorelle as it is only open on the weekends and only if you reserve a time at le musée de l’École de Nancy. I arrived on Sunday afternoon and left on Saturday morning, so I missed this one. 6. Les Petits Gobélins Of the places I scoped out to eat in Nancy, this was my favorite. 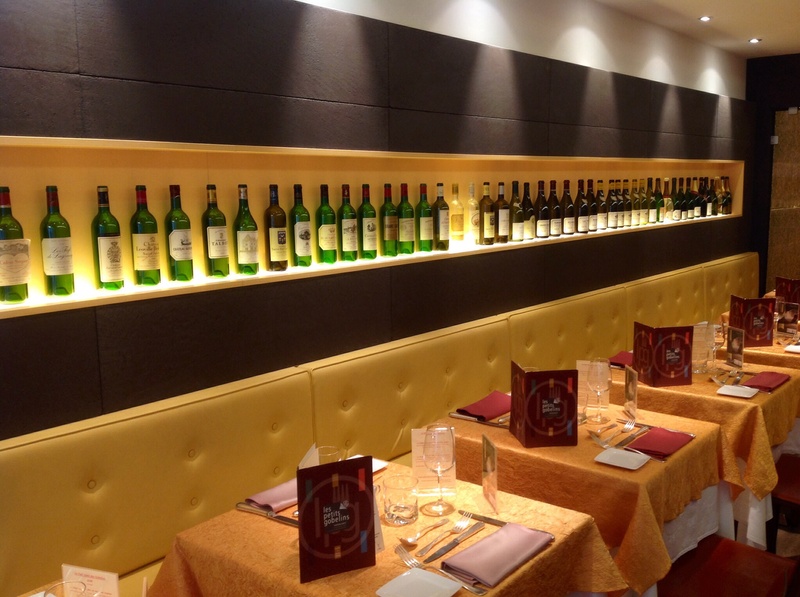 The décor was elegant, the food was delicious, and the service was attentive. I can also recommend Grand Café Foy and the Café du Commerce, both on Place Stanislas, and Les Pissenlits, just off Place Charles III. I didn’t think much of Brasserie Excelsior Flo. If I had been blindfolded, I wouldn’t have known what I was eating. It is beautiful, however, so stop in for a coffee. 7. Le parc de la Pépinière I totally missed out on this area when I was preparing for my visit. 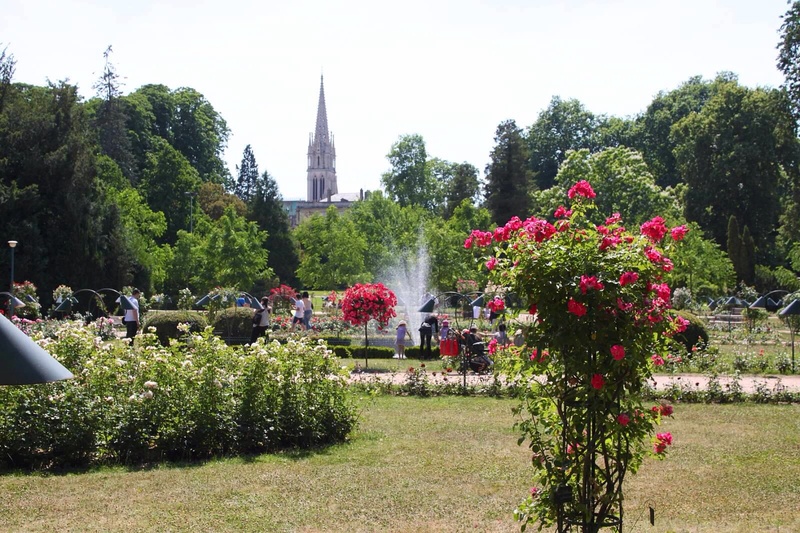 This huge park is just off Place Stanislas. It’s a lovely, tree-shaded place to ramble or enjoy an ice-cream on one of the many benches. Well, those are my top picks for a visit to Nancy. I think you’ll find it most worthwhile. If you go, I’d love to hear what your incontournables were. This entry was posted in Architecture, Travel and tagged incontournable, Les Petits Gobelins, Maison d’Hôte de Myon, musée de l’École de Nancy, Nancy, Place Stanislas. Bookmark the permalink. But next trip, I would love to include Nancy and places northeast in France. You said you did not see or hear many English speakers. My French is fairly limited; I speak great menu, but that’s about it. Will I be able to get along in Nancy? Are any of the tours offered in English? Thank you, again for this wonderful post. And your inspiring blog… I love it. Merci bien pour les compliments! As to managing in Nancy without a lot of French, I think you’ll do fine. For example, when I was catching my train to Paris this morning, a man walked up to a boulanger and ordered in English and the young woman was not at all perturbed. I noticed that the audio guides in the museums were available in multiple languages. But you know how it goes, if you give it a shot and try to speak French, people will go out of their way to help you. I hope that you will have a great trip this time and the next one, too!